All of these data compressing browsers are free and they save a lot of data. Whenever you are on the go where you don’t have a Wi-Fi connection you enable your data connection and if the connection is not quite good, it may take time to load those resource heavy websites. Considering this, we have some of the best data saving browsers for your Android devices that can be useful in a situation that require fewer data and more browsing. Opera Mini browser for Android gives you a fast, full web experience. Save data while surfing and downloading your favorite content. High-compression mode ensures a full web experience without using up your data allowance. Check your daily mobile data savings. You’ll use much less compared to other web browsers. Browse the internet faster and stretch your data plan. Yandex.Browser – a quick and safe browser with voice search. Active security system Protect warns you about dangerous sites, stops your personal information from being stolen when using public Wi-Fi networks, and checks downloaded files for viruses. Dolphin Browser is the best browser for Android. Dolphin Browser provides you with fast loading to browse the web. They outperform other browsers, such as Firefox, Chrome and Opera Mini in many ways, including fast loading speed, flash player & HTML5 video player. Download Dolphin to surf the Internet with the best unique and useful features such as AdBlock, tabbar, sidebar, incognito browsing and Adobe Flash player for Android. It loads articles and links in background for you while you do something productive. Our quick read mode gets rid of ads and loads only relevant content saving your time and data. It also allows you to save articles offline to read them later. With UC Browser does not have this history of “hang”. Navigation a good flowing. UC Browser compresses data, speeds up navigation and saves precious MBs of your internet package. With helps from users, UC Browser adBlock will block out most annoying Ads on Main sites. 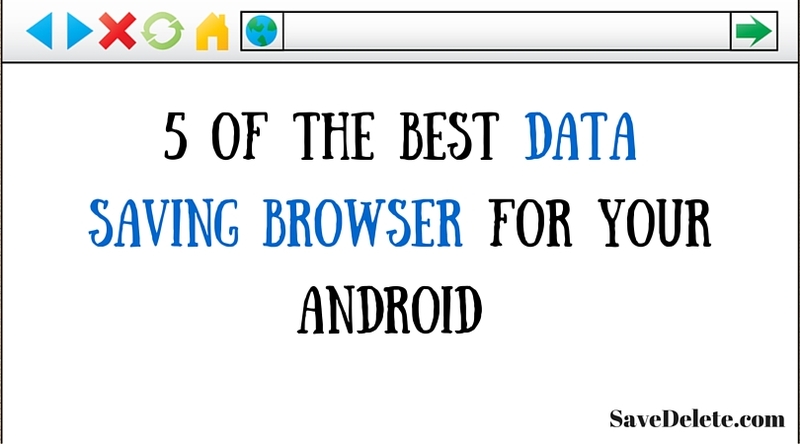 There are many other browsers for Android that save your data while browsing, if you have used any other than the above ones, please share your reviews with us below.